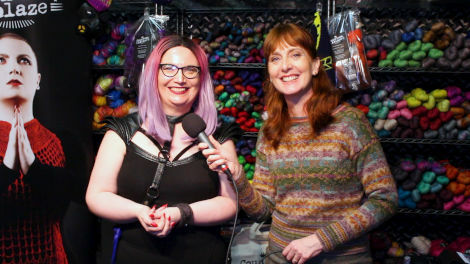 We have just come back from Edinburgh where we recorded the 2019 Edinburgh Yarn Festival and we think we have a fantastic Episode 74 lined up for you. This is the third time that we have covered the festival which meant that we really needed to show you something different in this episode. 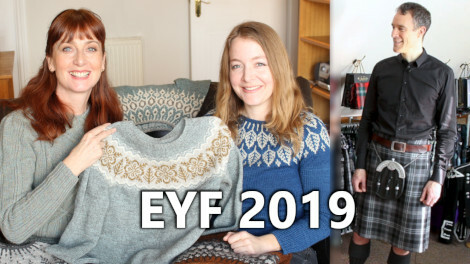 Last year we interviewed some vendors, took you on a tour of the medieval city center of Edinburgh and we also interviewed the EYF Founders, Mica and Jo. In this episode we have four mini interviews with very contrasting and highly interesting vendors as well as a major feature interview with the designer Jennifer Steingass. 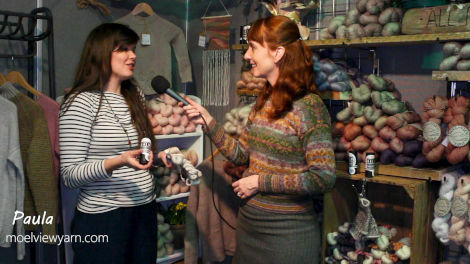 Jennifer designs very beautiful and extremely popular stranded yoke sweaters and she was invited to be one of the guest teachers during the festival. 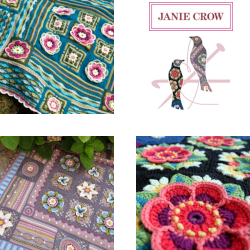 In our interview, Jennifer shows us a selection of her designs and talks about how she shapes her yokes and how she works with colour. We also have a completely new segment which is aimed at giving you a deeper insight into Scottish culture. We take you to a tailor kilt maker to learn more about this very handsome garment and the skill that goes into making it. You may even see one of us wearing one (the one with the better legs). On top of that, we show you some of our purchases, we give you an up date of our projects and our daughter Madeleine joins us for a quick hello. Jenn Steingass was invited over from Maine in the States to be a guest teacher during the festival. 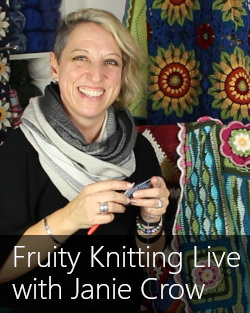 We featured Jenn in our ‘Knitters of the World’ segment way back in episode 16, in November 2016. A lot has happened for Jenn since then. 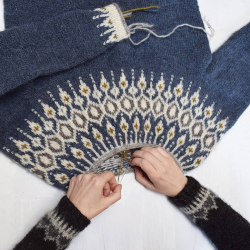 Her designing and teaching career has really taken off, but I think it’s fair to say that stranded colourwork, yolk sweaters are still her favourite thing to design and knit. Jennifer has a natural instinct for creating the most beautiful (but still casual looking) yoked sweaters that look fantastic with jeans and that everyone wants to wear. 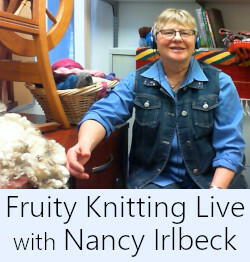 In our interview, she talks about how she shapes her yokes when using different types of motives as well as the different types of short row and body shaping options people can choose from. 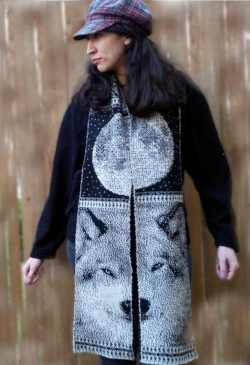 Jenn is offering Fruity Knitting Patrons a 25 percent discount on all of her self-published patterns available on Ravelry. This offer is valid until 23 April 2013, full details available here. 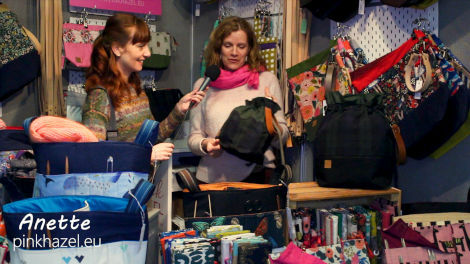 We had a blast interviewing four very contrasting and exceptional vendors. You can see from just this selection that the festival really offers a diverse range of yarns and companies. We do have a few more vendor interviews which we will showcase in our following episode. 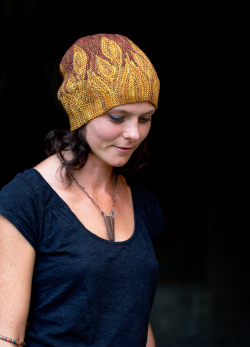 It was a lot of fun to interview the countess Ablaze herself with her exceptional yarn and we are super thrilled to announce that Lyndsey is offering Fruity Knitting Patrons a 20% discount off all yarns available at her online store. Offer available until 23 April 2019, details here! Here Anette is showing off one of her beautiful Edinburgh bags made from an oil skin Black Watch tartan. Kerry started the company Toft 13 years ago from her parents’ alpaca farm. 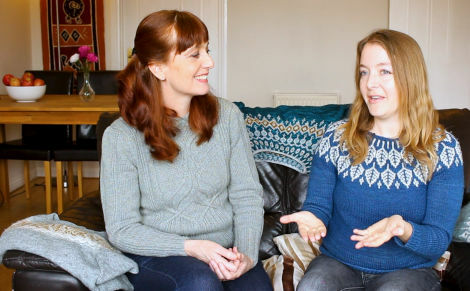 Around five years ago when she was pregnant with her son, Kerry taught herself to crotchet and has since developed hundreds of crochet animal kits aimed at attracting new people to the craft. During the festival Kerry set up ‘learn to crochet’ stations for people to sit down and learn the basic crochet stitches. Paula’s business is based in North Wales where the stunning natural landscape directly inspires her natural dying. Howie from 21st Century Kilts did a fantastic job of featuring as our first ‘maker’. Howie has been in the family business since he was a wee lad and his father and grandmother before him were all kilt makers. His father’s business, Geoffrey (Tailor), specializes in the formal and pipe band kilts, and Howie’s mission is to bring the kilt back into the everyday life of the modern man. Howie owns around 10 kilts and wears them daily instead of jeans. During our interview Howie tells us some of the history of the kilt and explains the code or sett of a tartan. Andrew has been fitted up for a kilt so I’m still hoping to see him wearing one soon. Denis Murphy’s Polka. I’ll Tell Me Ma. John Ryan’s Polka. Jig of Slurs. Dublin Reel. Merry Blacksmith. The Mountain Road. Thank you so much for taking some good stable footage of the venue at the start. I had seen some others and it felt like a mad house, your video efforts were so pleasant. 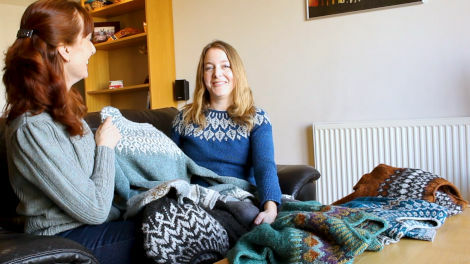 I love the yoke jumpers, plan to do my first this year. Have just started my first socks. I hope to get to the EYF in a year or two. Try to check out strikkefestival.dk – perhaps it is something as well. Can you please tell me what episode included the video recording of Andrea playing the piano? Thanks so much. That was in Episode 68 with June Hiatt. You can also hear Andrea singing in Episode 5 and Episode 60. Thanks for watching, Robin.